Many competing products offer these benefits as well, but pair them with fat blocking, appetite suppression, and other abilities that are likely to provide a more complete weight loss solution. Nutres is unlikely to offer the same level of results, but a faster metabolism can help people to control their weight by burning calories faster. Calories are the body’s fuel and it gets them from food. When the food-provided calories run out it begins to burn fat. Such a calorie shortage often results in fatigue, so many diet supplements contain stimulants to help invigorate the body and mind. Nutres is no exception. Nathans Natural say customers can expect to see a weight loss of 11-24 pounds in the first month. Many dieters would be ecstatic to drop so much weight, but the level of benefits offered may be insufficient to provide dieters with the all-around support required to deliver such results. Let’s take a look at the ingredients and see how it all pans out. Resveratrol: A grape extract. Research suggests resveratrol may be able to influence adipose (fatty) tissue mass and “positively interfere with the development of obesity-related comorbidities”. Pomegranate Extract: Pomegranate extracts appear to have the potential to encourage fat loss, but researchers state further study is necessary. Yerba Mate: An ingredient taken from the leaves of a holly-like shrub that can be found growing wild in some South American countries. It’s main value is as a caffeine provider. Caffeine has the ability to boost concentration and increase energy levels. It is also a scientifically proven fat burner. Guarana: A berry extract that provides caffeine. It releases it a lot slower than yerba mate, but the two ingredients should work well together. Yerba mate releases its caffeine quickly, so the effects kick in quite fast. The effects of guarana should become apparent as the effects of yerba mate wear off and the benefits should continue for quite some time. Siberian Ginseng: A powerful adaptogen herb that is highly valued by practitioners of traditional Asian medicine. An article published on the Natural News website references studies that suggest supplementation with ginseng can be “highly effective for weight loss and diabetes control”. Damiana: This is a strange addition because damiana is not normally associated with weight loss, but it is reputed to be good for enhancing the libido. Usage Guidelines One capsule is required each morning. A second capsule should be consumed every evening. The Nutres website appears to be the only source of customer feedback. 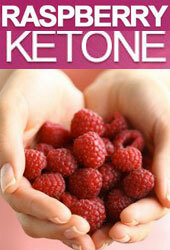 The reviews published there are very good and one man claims the pills helped him to lose 61 pounds in 9 weeks. That’s a reasonable achievement, but reviews placed on manufacturer’s websites are seldom unbiased. Feedback obtained for impartial sources is generally more reliable but, in this case, none could be found. Nathans Natural say side effects should not be a problem, but the formulation is unlikely to be suitable for women who are pregnant or nursing a child. People who have existing health worries should check with their doctor before taking Nutres or any other dietary supplement. The same advice is offered to people who are using medication. 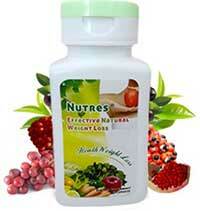 The pills are only available from the Nutres website. Each bottle contains 60 capsules and retails at USD$ 19.95 (AUD$ 26). Nathans Natural offer worldwide shipping, but they do not provide customers with a money back guarantee. Nathans Natural make three claims for their product—boosted metabolism, enhanced fat burning, and more energy. The presence of damiana in the formulation is unlikely to deliver anything of value, but the rest of the inclusions should be capable of producing the promised results. This will only occur if the inclusion rates are high enough, though, and the presence of damiana only serves to dilute the strength of the blend. This is an issue. As is the lack of independent customer feedback. Especially bearing in mind the fact that the formulation does not contain any powerful appetite suppressants or fat binders. Nutres may work well or it may not work at all and Nathans Natural offer no guarantee. Many alternative products are designed to offer dieters a better level of support and the average guarantee period is 30 to 60 days. Faced with competition like that, Nutres falls flat on it face. 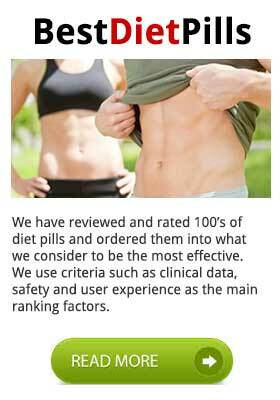 It is our view that PhenQ is the best product for anyone wishing to buy a non prescription diet pill. 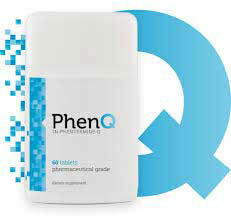 PhenQ uses pharmacy grade ingredients but are completely natural and free from side effects.